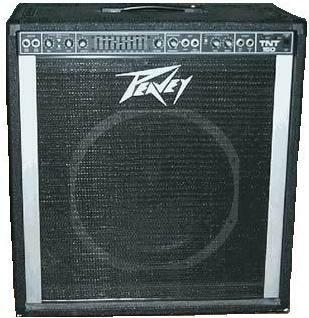 Today we are looking at my first bass amplifier: a Peavey TNT 150. A friend of mine once said that after the nuclear holocaust, only cockroaches, AK-47s and Peavey amplifiers will remain. 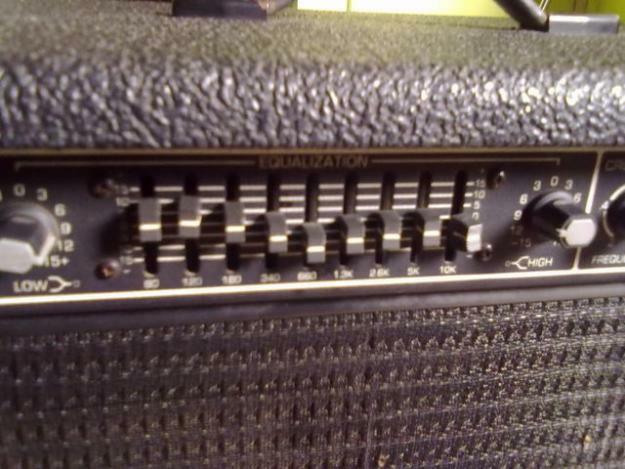 I think he may be right, as this amplifier was built like a brick house. I bought my first electric bass back in the mid 1980s, and after a few weeks of monkeying around with it, I started looking around for an amplifier. I was still in school and did not have a ton of extra cash from the part time jobs I was working, so I ended up roaming the pawn shops. At AV Pawn in Long Beach I found this Peavey for a reasonable price ($150, I think), so I dragged the heavy beast home in the back of my Honda. This made in the USA (really?) combo amp put out 150 watts at 4 ohms, I have since seen other TNT 150 amps that put out 160 and 200 watts. They must have made a few changes over the years. This one had a really heavy-duty plywood cabinet that was covered in the most durable tolex ever created on this planet. It held up like one of those spray-on bedliners. There was only one carry handle on top which made transporting it a bit tough, so eventually I added handles to each side of the cabinet. This made it a little easier to get it in and out of my car. The speaker was a 15-inch Scorpion (if I remember correctly). These could also be had with Black Widow speakers. It held up well with the abuse that I gave it. There were plenty of controls for me to mess around with, including a 9-band equalizer with sliders. Every 19 year old loves eq’s with sliders. It also had a chorus effect that sounded pretty awful, but I did not have much money so at least it gave me the ability to try out some new sounds on the cheap. 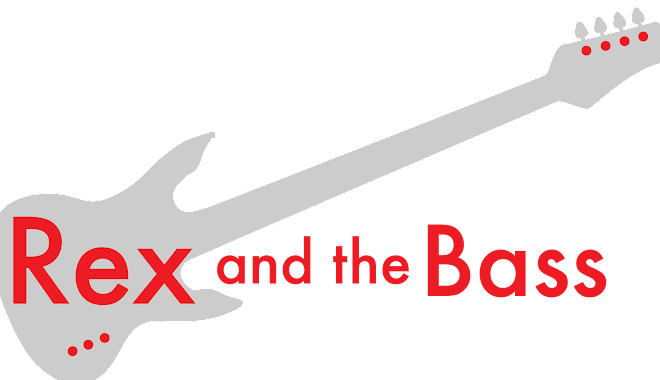 The TNT 150 worked fine for me with the passive P-J Fender basses I was playing back then. It could put out enough sound to keep up with a drummer playing at a reasonable volume. The tone was boomy and did not provide crispy highs, but it worked well enough. I wonder sometimes how much benefit we really get from the high-end equipment that everybody and their brother wants today. I have one of these things still! Tube amp or transistor? How far back did they make these,'cause I remember my dad had one when I was in jr high ("middle school" for you new millennium kids) in 1970. For some reason, I never pulled the back off it to check, maybe 'cause dad would have had a fit if I messed with his gigging amp! I learned the bass riff from Grand Funk's 'I'm Your Captain' with that, Mel Schacher never sounded that good! Hey Neill -- it was a transistor amp , and if I remember right they came out with these in the late 1970s. Maybe your dad's was one of the original "Vintage Series" (now called the Classic Series). Fun memories, huh? Still got mine from the late 90s. Needs cleaned up, but still sounds great. 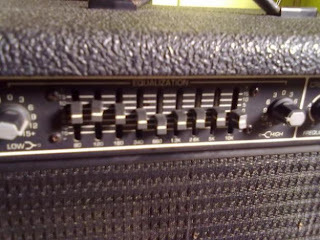 Hi own of this amps. It still play after all this years. ...we have a very similar Peavey USA amp...and LOVE IT! yeah!! super cool vintage vibe workhorse 100 percent made in USA, Peavey TKO still alive and kicking from Michael t wyman and 99 ...duo/band ...BMI...Culver City CA USA ...just gigged with it at the Cinema Bar here in Culver city California....the TKO sounded super solid as always !